VT Explorer is a vessel tracking and monitoring software displaying real time data received by the vessels AIS transponders. The system has a friendly user interface displaying vessels on the world map. A demo version can be downloaded free from www.vtexplorer.com. 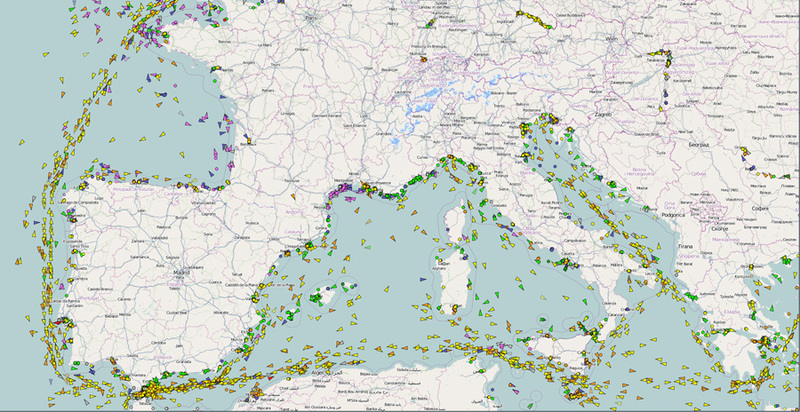 Almost every day you can track about 18000 ships online and watch over 200 ports worldwide. VT Explorer visualizes all the ships that are in the range of AIS receivers on the electronic chart of vessel traffic viewer. Using this software everyone involved in maritime business can track a ship’s route they are interested in. There are various options for ship search – by IMO, MMSI, Name, Flag and other criteria. For each vessel there is an additional information such as its photo, flag, name, owner, route tracking, type. Different types of ships are colored different – for example yellow is for cargo ships, green for pleasure crafts, full explanation you can find in the quick help menu. At the right sidebar there are few options for selecting ships and visualizing only them on the electronic chart also creating a list “My ships”. From all online vessels there is an option to show only the selected. An option for people interested only in specific areas VT Explorer has an option for bookmarking favorite views. Combined with “My ships” lists you can target only at the specific vessels without being disturbed by the surrounding traffic. For better understanding the scale of the map and ship position there is also an option to measure the distance from any ship to any point on the map, calculation of latitude, longitude and bearing. It is calculated both in nautical miles and kilometers. Another useful tool is the ability of the program to export screenshots. You can save the images in both formats – BMP and PNG.